WINNIPEG -- The Manitoba government says it will spend up to $1.48 million to help luxury jacket maker Canada Goose (GOOS.TO) expand its Winnipeg manufacturing operations. He says the province's contribution will be spent to help train sewing machine operators over three years. The new facility will be the company's third factory in Winnipeg. He says Canada Goose wants to keep production in Canada . 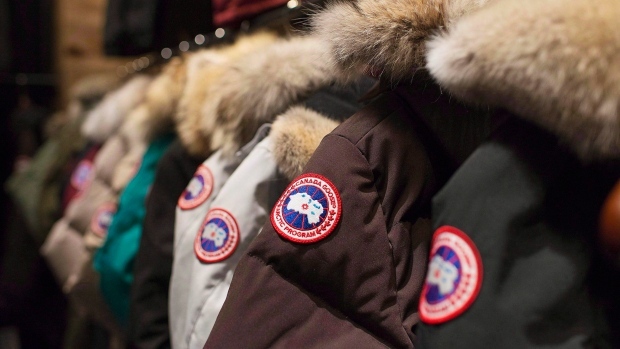 "Made in Canada isn't a slogan for Canada Goose -- our commitment to growing production capacity in Canada is stronger than ever," Reiss said Tuesday in a release. "We are proud of our role in creating manufacturing jobs in Canada and to be doing it in Winnipeg -- a city we are privileged to call home."